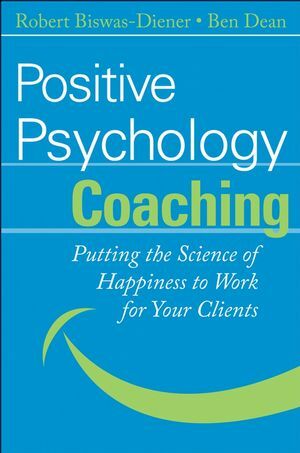 Utilizing sophisticated methodology and three decades of research by the world's leading expert on happiness, Happiness challenges the present thinking of the causes and consequences of happiness and redefines our modern notions of happiness. Ed Diener, PhD, is the Joseph R. Smiley Professor of Psychology at the University of Illinois at Urbana- Champaign and is recognized as the world's foremost authority on the science of happiness. He is also a senior scientist for the Gallup Organization. Robert Biswas-Diener, Program Director at the Center for Applied Positive Psychology (UK) and part-time lecturer at Portland State University, lives in Milwaukie, Oregon. He is known as the "Indiana Jones of positive psychology" for his research on subjective well-being in remote cultures around the world. Part 1: Understanding true wealth. 1. Psychological Wealth: The Balanced Portfolio. 2. Two Principles of Psychological Wealth. Part 2: Happy people function better. 4. Happiness and Social Relationships: – You Can’t Do Without Them. 5. Happiness at Work: It Pays to be Happy. Part 3: Causes of happiness and genuine wealth. 7. Religion, Spirituality, and Happiness. 8. The Happiest Places on Earth: Culture and Well-being. 9. Nature and Nurture—Is There a Happiness Set-Point, and Can You Change It? 10. Our Crystal Balls: Happiness Forecasting. 11. Taking AIM: Attention, Interpretation, and Memory. Part 4: Putting it all together. 12. Yes, You Can Be Too Happy. 13. Living Happily Ever After. 14. 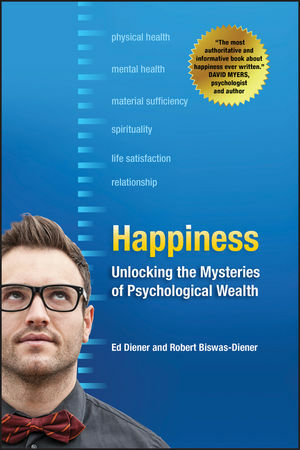 Measuring Your Psychological Wealth. Epilogue: About the Science of Happiness.